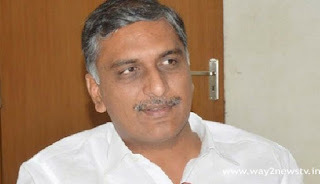 Minister Harish Rao has been asked to initiate the 4th phase of the mission at Kazhakuttam on February 3. The Minister has ordered the construction of the feeder channels. Harish Rao announced that the video conference will be held on February 3rd. Irrigation Minister suggested that ministers, MLAs, MPs, MLCs, district panchayat chairmen, other people, district collectors, SPs and farm officials should be involved. The 5703 pond restoration program is under way in the 4th phase. The Minister has directed that priorities should be given to stabilize the irrigation reservoir and additional sprinkler in the works under Mission Kakatiya. CE, this. Harish Rao ordered to examine the paddy soil before using the paddy soil as farmers in advance were given the list of ponds to be taken up in the 4th phase. Irrigation Minister said that in the past, only Telangana had only 9 land examination centers. Now there is a Soil Test lab for every three gram panchayats. All 2,500 Soil Test Labs People are encouraged to come up with awareness and awareness among the farmers on groundnut soils. Agriculture and Irrigation Department officials and staff members should work in coordination. Irrigation officials have been asked to work more efficiently in the prestigious mission. Harish Rao has ordered the immediate start of the fourth phase of the mission.